Maiya Lueptow has been a member of Hillside Church for over fifteen years, and assistant pastor for the past eleven years. She has led numerous small groups, counseled with people in need, visited the sick, chaired Hillside’s Christian Education program for two years, had regularly performed vocally with the worship team. She is presently the director our Hillside Food Pantry. She sensed her call to ministry most strongly while being discipled by Pastor Michael Summers (Hillside’s pastor of small groups, who fell asleep and woke up with Jesus on October 22, 2000.) Maiya assumed the responsibility of Pastor of Discipleship. She was ordained by the Free Methodist Church in June 2006 and now serves as Assistant Pastor for Hillside Free Methodist Church. She mentors one-on-one with Hillsiders, visits the sick and lonely, works with the youth and worship ministries, and offers insightful teaching through her sermons. She completed her studies for the ministry at Trinity International University. She is also a trained hospital chaplain and completed two years in spiritual and leadership training with The Transforming Center in Wheaton, IL. Previous to her call to the ministry, Pastor Maiya was a lawyer. 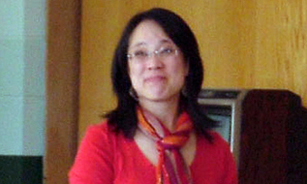 She is married to Richard Lueptow, professor at Northwestern University and are parents of two wonderful adult children.